Since gardening is a huge part of my life and this blog, I figured I’d start sharing a few of my favorite plants. I live in growing zone 9b, so your experiences may differ from mine. First up is a perennial that I’ve loved since childhood. Gaura was one of the first plants I grew when my mom set aside a corner of the yard for me to garden. I remember picking it for the wispy stems and the name, which I’m almost certain had the word “fairy” in it somewhere (I was really into fairies as a kid). However, I can’t find a “fairy” variety now, so it was probably Belleza. 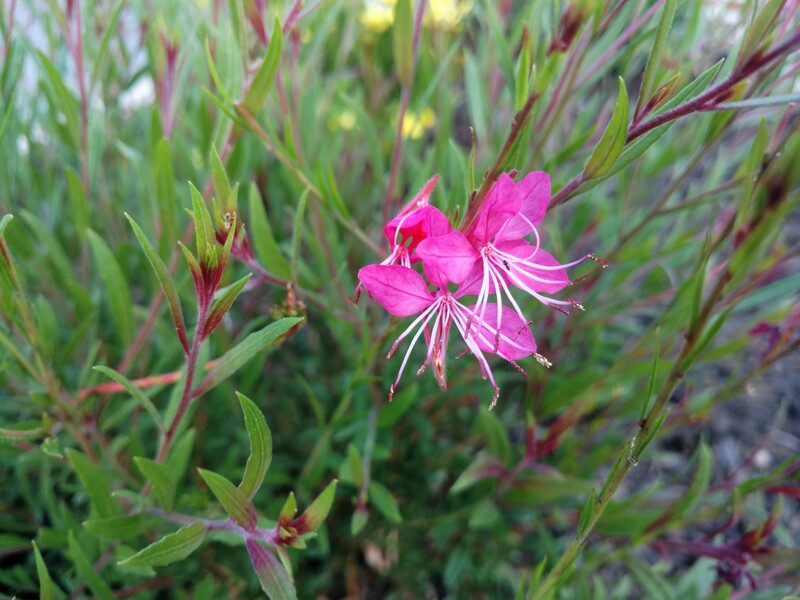 When I moved into my current house, gaura was also one of the first flowers with which I started the pieces of butterfly garden scattered across my backyard. Although some varieties are not self-seeding, the ones I planted are (again, probably Belleza). This spring, half a dozen volunteers popped up around my backyard. As many were growing on foot paths, I tried to transplant them to my front yard. Unfortunately, none survived. I’m sure this was at least partly my fault, though, because I attempted to plant them straight into the ground with fertilizer (rather than with potting mix, like what comes with store-bought plants). 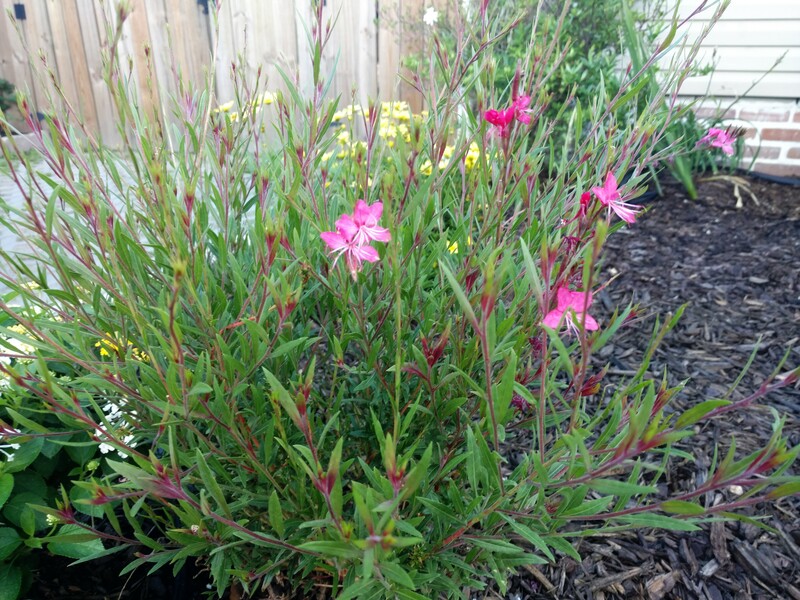 I ended up buying several more mature gaura to plant around my front yard, and they’ve done well in the blazing sun and south Louisiana summer heat. Although they die back in the winter, gaura returns in the spring in my zone (9b). In my yard, it was a little slower to grow back than some of my other perennials, like Mexican Terragon. Lantana growing to the left and coreopsis behind. Hellooooo, butterflies. I have at least a dozen gaura between my front yard and backyard, and I’m looking forward to more self-seeding in the coming years.